OK so we’ve touched on foundation and blush brushes, now it’s time to have a little look at the different kind of powder brushes available. The type of brush you need is dependent on what kind of powder you are applying; face, bronzing, body, etc. With so many brushes on offer, large powder, mineral powder and kabuki just to name a few, it can get very confusing choosing the right one for the job. So then which one do you need for what? Well lets start with the product you want to apply and we can go from there. Before we start it’s worth noting that face powder should never be applied with a brush. No I’m not kidding, don’t believe me? Have a look at this tutorial by the amazing Wayne Goss. In short you should always apply your powder, loose or pressed with a powder puff, sweeping your brush over your foundation will only disturb your perfectly blended base. 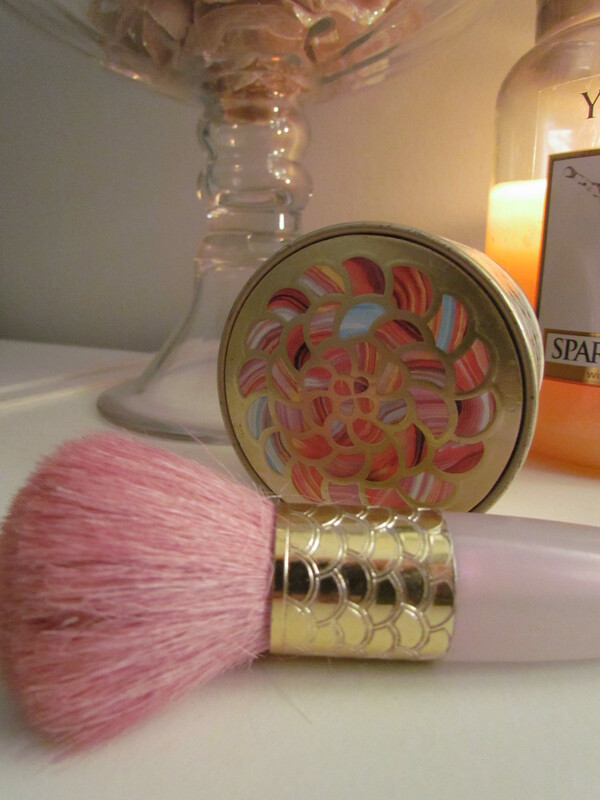 Instead press the powder into your face and then knock the excess off with your brush. Always opt for a soft, lose bristled brush with a long handle where possible. Some MUA’s prefer the finish of natural fibre brushes claiming they give a better finish, as opposed to synthetic fibres that can be rough on the skin. Personally I love synthetic brushes and find if you get hold of the right one it will be softer and give you a beautiful finish. 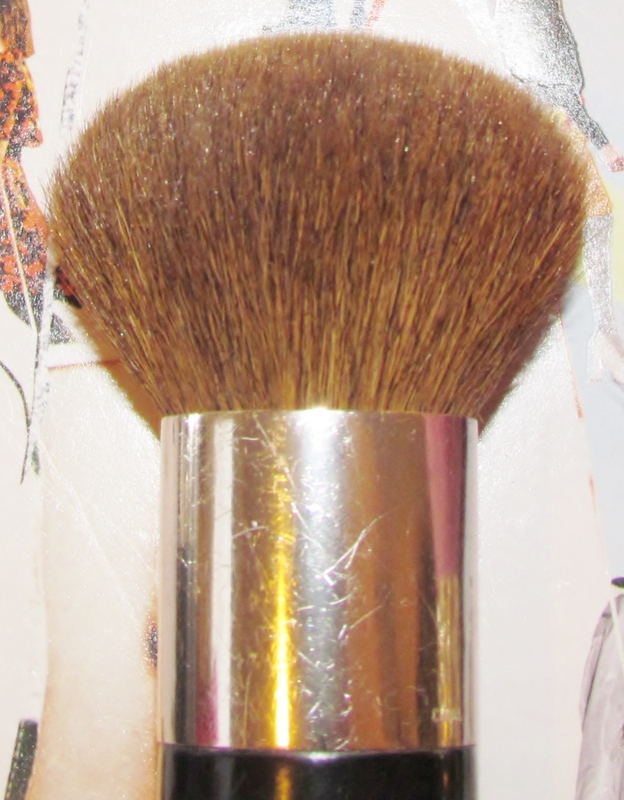 My favourite synthetic brush is this face & body brush from the Body Shop. It cost £16.00 and is one of the softest brushes I have ever used. If you are looking for reasonable, good quality, cruelty free brushes then the Body Shop is your best starting point. I’m not in love with their eye brushes but their face brushes are some of the best I have ever found. If however you’re looking for a brush made with natural fibres then this one by Guerlain is beautiful. Made with tibetan goat hair, still not sure what that means, it will last you a long, long time. 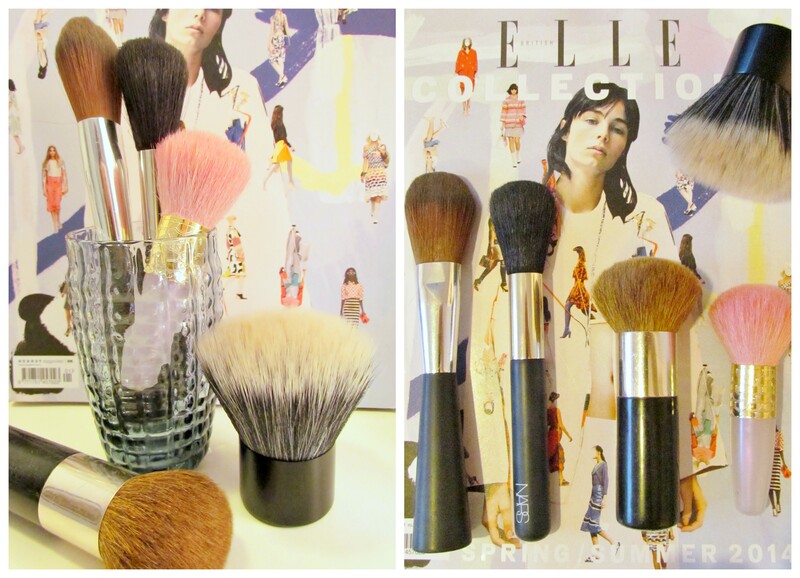 You may have seen I was raving about this little brush in my Cult Classics series. Applying mineral powder is all about blending, for this you will need a dense brush. Personally I prefer a flat top brush like this one from Eco Tools. I find these brushes help me to blend and buff mineral makeup perfectly. If you prefer something a little more traditional check out this range from Crown. Bronzing powder can be very tricky to apply correctly. Get it wrong and you can end up with terrible brown/orange stripes all over your face and body. 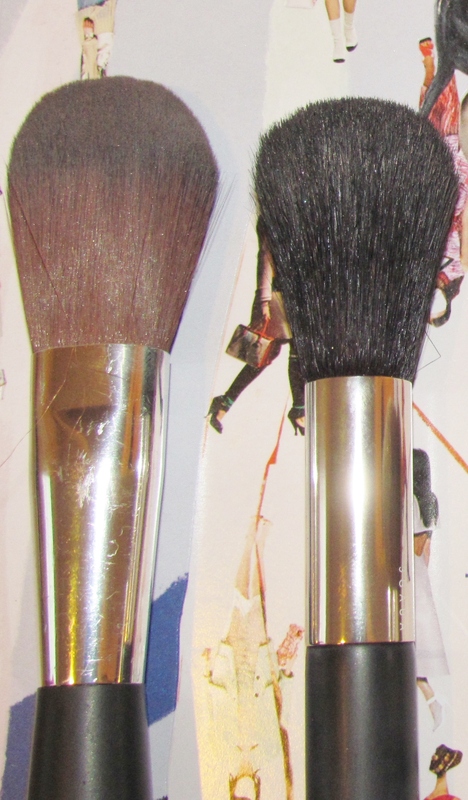 The key is definitely in the blending and for this job you have two options…a kabuki or long bristled powder brush. The days of contouring are drawing to an end, Kim Kardashian are you listening? It’s all about drawing light to the centre of the face now. To achieve this you just need to create that perfectly subtle 33 shape…click the picture for Trick or Chic’s great tutorial. Another thing that is gaining more popularity is bringing the two 3’s into the centre of the face so you have an 8 shape, or as Dior’s Jamie Coombs taught me…a 33 kissing! Right so we’ve got the technique down, which brush will do the job perfectly? 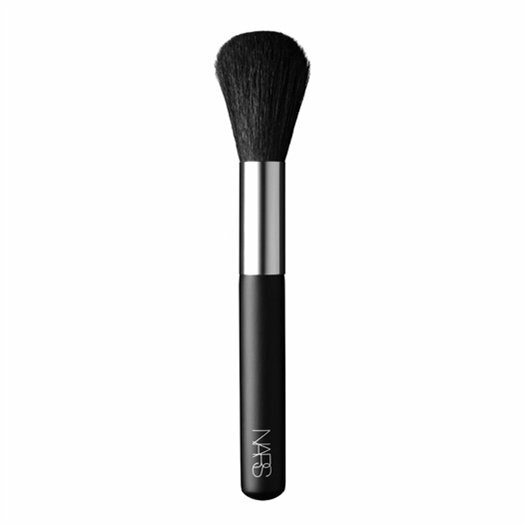 Personally my favourite brush is this one from NARS. It may be £42.50 but man it’s gooood! 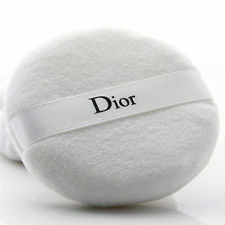 Made from pen goat hair it’s mega soft and apply’s product beautifully. It can be used for dusting off excess face powder but I think it’s better suited for applying bronzing powder. It’s bristles are so long and soft that it acts like a M.A.C. 217 blending brush for the face. Lightly sweep across your chosen bronzer, tap and get to work lightly applying your product. If you have been a little heavy handed, which is hard with this brush, then simply blend out the bronzer like you would an eyeshadow, and voila…perfectly bronzed features…without looking like you’ve been tangoed! If however you prefer something with a bit more weight behind it then a Kabuki is what you’re looking for. Soft dense bristles that usually form a rounded top, or occasionally a flat top, help you to buff products into your skin perfectly and avoid harsh streaks. This one from Sephora is a purchase I made 8 ago years in New York and it is one of the best brushes I have ever used. Thank the lord that Sephora are now shipping to the UK! If you are applying powder to a large area it goes without saying you need a big brush. I mean lets be honest, applying the body powder is usually the last job we do, and it’s usually accompanied by a soundtrack of people heckling us to hurry up…or is that just me? To avoid wasting more time grab a massive, good quality brush and sweep over the desired area. My favourite brush for this job is Daniel Sandler’s Kabeauti Brush. 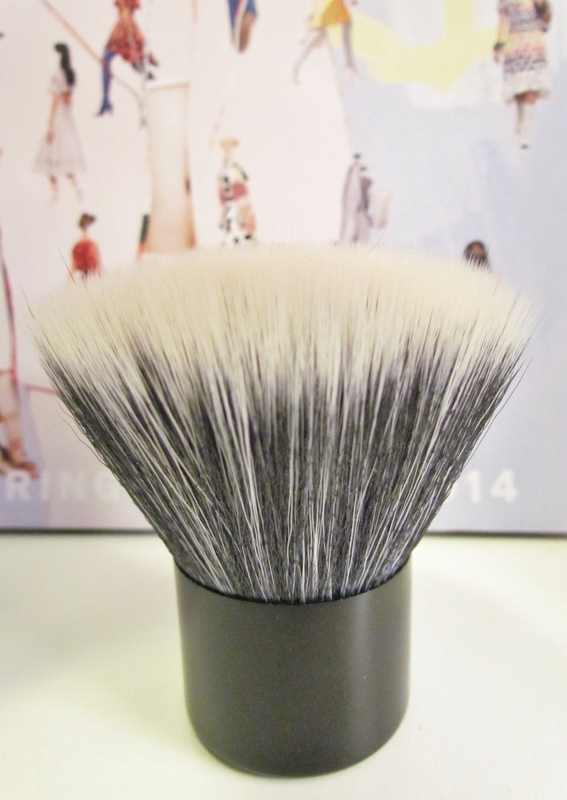 As this is a duo fibre brush it will not pick up too much product and leave you looking streaky. What he say’s about this brush “Take the fear out of applying powder and bronzer and instead make it a simple step within your makeup routine, avoiding over powdering or under blending by using this BIG brush.” I have to admit that he’s right, not only will you get the job done fast but it will leave you looking perfectly groomed. Also for the boys out there looking for a brush to apply bronzer to the whole face…this is your best bet! Fan brushes are generally used to sweep away excess product or correct mistakes. You can get anything from a delicate little fan brush to a huge kabuki. I personally love the little delicate fan brushes to sweep away my under eye setting powder. 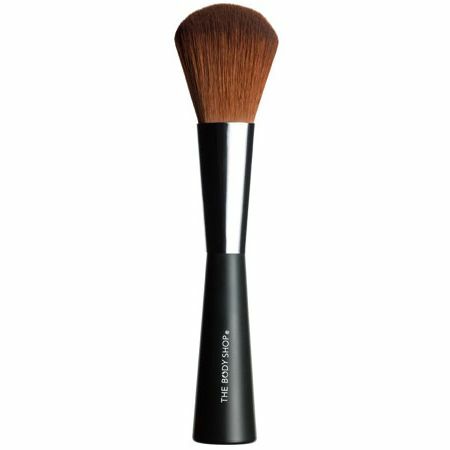 This one from Laura Mercier is a beautiful brush. That’s it for this installment, I’ll be looking at contour, highlight and blending next so don’t forget to follow me on here, bloglovin or twitter so you don’t miss it :O) If you guys have any questions, or have found even better brushes please leave a comment below. ← Comme des Garcons x Pharrell fragrance collab!